Middleburn Road 4-ARM 104/64bcd triple spider. The ring sizes are from 22T for the inner, from 32T for the middle and 42T for the outer. We have other ring sizes available. COLOUR: Black, Silver, Red, Blue. hello, tell me what color spiders are available! Thank you ! As of 04/09/17 we currently have blue, red and silver in stock. Does This Spider Fit The Rs7 Square Mountain Bike Crankarms? 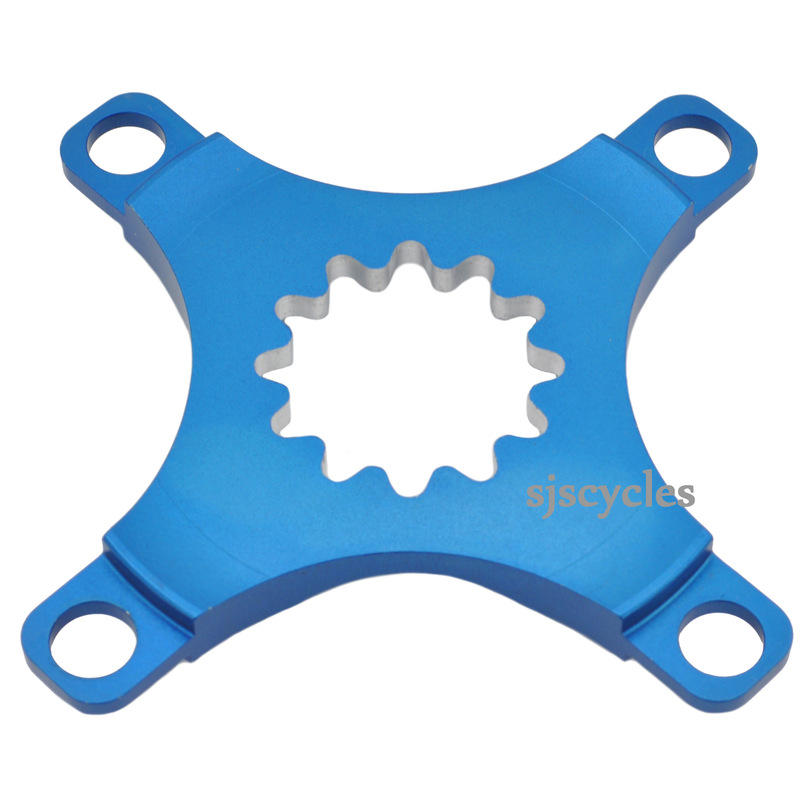 This spider could indeed be used with the RS7 crank arms.